Kingsbury Web provides business email provisioning and migration services. We have over 10 years of experience managing email services for businesses of all sizes. With free e-mail hosting, you are typically limited to POP or IMAP only, which downloads e-mail to your devices. Other common issues also include a high volume of spam, downtime, or even missing e-mails. All of these factors are very detrimental to the daily operations of any business. There are hundreds of email providers on the Internet today. At this time, Kingsbury Web does not provide hosted email services. The primary reason is due to high costs for servers, management, geo-redundancy, and competitive pricing. As a result, we have decided to partner with Google & Microsoft to host our clients email & cloud services. Google G Suite provides Gmail, Docs, Drive and Calendar hosting for your business and employees. Create documents, spreadsheets, and other files in Google Drive, a cloud based service by Google. Your documents can be synchronized bi-directionally on any device and computer. Our own @kingsburyweb.com e-mail services and internal documents are hosted with Google G Suite. 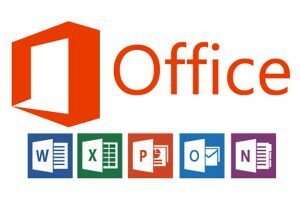 Office 365 includes the ever popular Office Suite (Word, Excel, Powerpoint and Outlook), along with Email Hosting by Microsoft Exchange. If you primarily work with Windows and often use Office products, we recommend migrating your services to Office 365. You’ll continually receive the latest updates for Microsoft Office. We will seamlessly migrate your email services to either Google G Suite or Office 365. During your free consultation, we provide a complete migration plan. We also provide setup instructions for all your employees, including benefits to improve their day to day operations.